RRR ENVIRO SYSTEMS filters provide crystal clear water of turbidity level less than 2 to 3 mg/liter on silica scale. Horizontal and vertical filters are available in a complete range of sizes from 0.25 m 3 /hr to 500 m 3 /hr. Normal filtering medium employed is clean sieved grade quartz and fine sand. 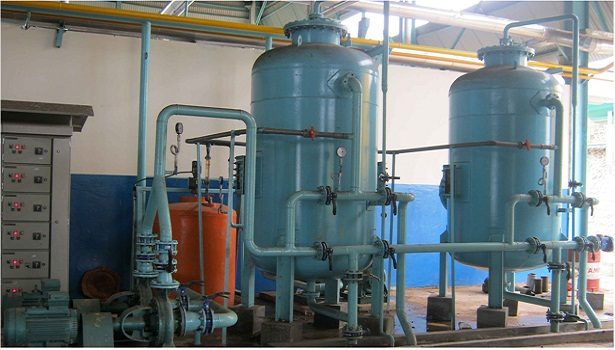 For applications like iron removal, chlorine reduction special type / filter media are available. The filters are manufactured in SS 316, SS 304, MS FRP as well as FRP Advance Composite. A wide range of chemical dozing equipment is specially designed to meet the specific water quality level. For mineral Water industry special TSS and Absorption Filters are designed to meet the specific water quality level.